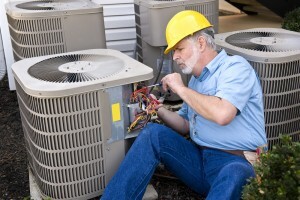 A functioning air conditioner is a piece of equipment no South Florida business can do without. The heat gets rough down here, so AC is key to keeping customers and employees comfortable, as well as protecting heat-sensitive equipment. If you need Bard commercial AC repair Fort Lauderdale Florida, Air Conditioning Excellence, Inc. is here to help! We’ve been in business for over 30 years. We know what works and what doesn’t when it comes to Bard products. Our technicians have the training, skills, and tools fix your AC unit promptly and efficiently. Feel free to get in touch at any time for help with any AC concern, question, or issue. If you’re not yet sure you need Bard commercial AC repair Fort Lauderdale, you can take a look at this brief guide that covers the most common HVAC problems business owners face. Your air conditioner needs refrigerant to run. Without it, your AC can’t cool your home. So it’s important that your unit be charged with just the right amount of refrigerant–not too much and not too little. If you discover that your air conditioning unit is short on refrigerant, there are one of two most likely causes. Either your contractor didn’t charge it right, or you have a leak on your hands. To get down to the true cause and make the needed adjustments, call us for Bard commercial AC repair Fort Lauderdale FL. We look forward to solving all your HVAC-related needs. An air conditioner relies on complex electric controls to heat and cool automatically according to your programmed preferences. Malfunctions in wires and other components result in lost cooling capacity. That means that if an issue occurs, you’ll find that the air conditioner doesn’t cool even when switched on. There are a number of reasons this may happen, but the best solution is to call a reputable HVAC technician. 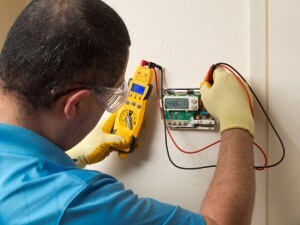 Diagnosing the problem correctly and fixing it requires professional assistance. Fortunately, that’s what we’re here to do at Air Conditioning Excellence, Inc. For Bard commercial AC repair Fort Lauderdale, give us a call (954) 368-0655. All air conditioners produce condensate. That isn’t a problem if the condensate drain is working properly. But if the condensate drain is damaged, you may experience leaks. These leaks can pose a threat to your health and property. If you suspect a condensate drain leak, call us without hesitation. Need a new air conditioner (take a look at this article if you need help deciding when it’s time to replace)? We make buying a new unit easy with our AC Financing plans. Get your Bard equipment today and pay over time! Click here to learn more about AC Financing! With AC Excellence, you don’t have to worry if you have HVAC issues on a weekend or in the middle of the night. We literally provide Bard commercial AC repair Fort Lauderdale 24/7. Any time is a good time to call. As you can see, choosing Air Conditioning Excellence, Inc. has its perks. Get in touch today for the best Bard commercial AC repair Fort Lauderdale Florida! Share the post "Bard Commercial AC Repair Fort Lauderdale Florida"